The first time we meet Sgt. 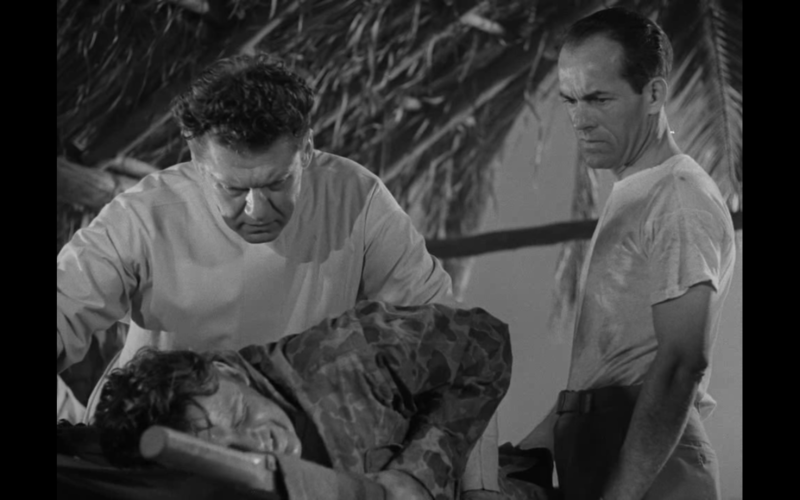 Johnny Meadows (William Terry) he lies on a makeshift marine stretcher, face twisted in unspeakable agony as the sounds of the Pacific Theater of World War Two crash and boom in the background. We won’t see him smiling again until much later when he meet cutes with Dr. Leslie Ross (Virginia Grey) while on a train back in the States. These opening scenes of Anthony Mann’s Strangers in the Night (1944) may seem irrelevant, but they are crucial to his trajectory as a director. His fifth film, Strangers in the Night was his first that was not either a comedy, musical, or hybrid of the two. With Johnny’s misery he helps establish one of the key themes of his filmography: the male figure in pain. David Boxwell wrote “if there is one consistent image in Mann’s work it is the close-up of a man registering pain, more often than not caused by another man in a fight.”1 Curiously, though Johnny would suffer a good deal more throughout the film, the source would be not from other men but from women. Only the opening unseen act of violence meets Boxwell’s secondary criteria. But it’s strangely fitting: Strangers in the Night marks a transitional period in Mann’s career. In it we see the beginnings of his later career as film noir maestro and pioneer of psychologically-motivated Westerns. Though his trademarks were still merely underdeveloped seeds, in hindsight they are unmistakeable. 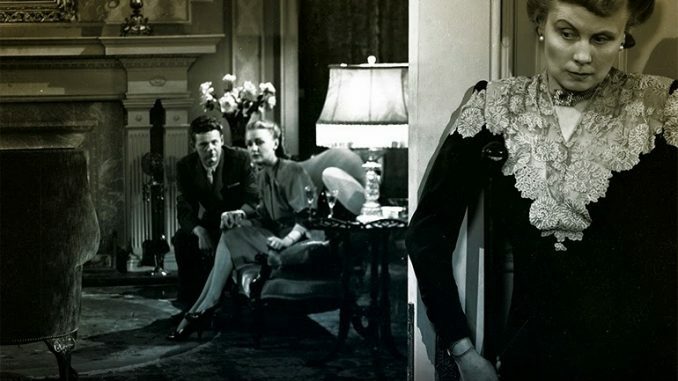 Much like Otto Preminger’s Laura (1944), the film centers on a woman’s absence. In this case it is the unseen Rosemary Blake, a young woman Johnny began corresponding with while overseas after discovering her name and address in a used book donated to the Red Cross. 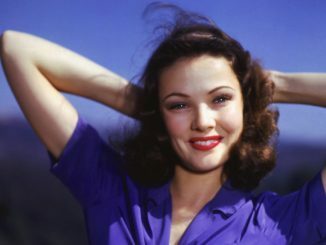 As Johnny’s only lifeline to the States during his service, he fell in love with her. Indeed, it is during his train ride to Rosemary’s mansion that he has his fateful meeting with Dr. Ross. 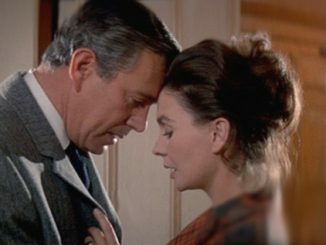 So begins one of the most compelling love triangles in classic Hollywood: effective because for some reason Rosemary never makes an appearance. The only occupants of her mansion are her elderly, disabled mother Mrs. Hilda Blake (Helene Thimig) and her maid Ivy Miller (Edith Barrett). 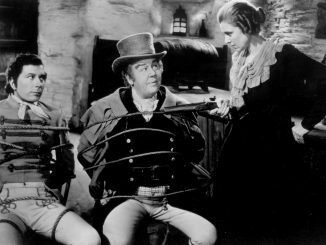 In Hilda we see another odd inversion of a Mann trademark: the ruined patriarch (Walter Huston in The Furies (1950); Donald Crisp in The Man From Laramie (1955); and Robert Ryan in God’s Little Acre (1958) to name but a few). Clearly unwell, in Rosemary’s absence she has dominated Ivy to the point of turning her into a nervous, neurotic mess. What’s more, she keeps insisting that her idolized daughter Rosemary will arrive any time now…even after Johnny has been there for days. So much happens in Strangers in the Night that one could be forgiven for not believing that it clocks in at a mere 56 minutes. What I have summarized thus far only occupies the first half of the film. From there it morphs into an almost Gothic melodrama of murder, betrayal, and madness. Here we see Mann dipping his toes into the waters of noir stylistics: heavy chiaroscuro cinematography, occasionally unbalanced frame compositions, and an inescapable atmosphere of doom. 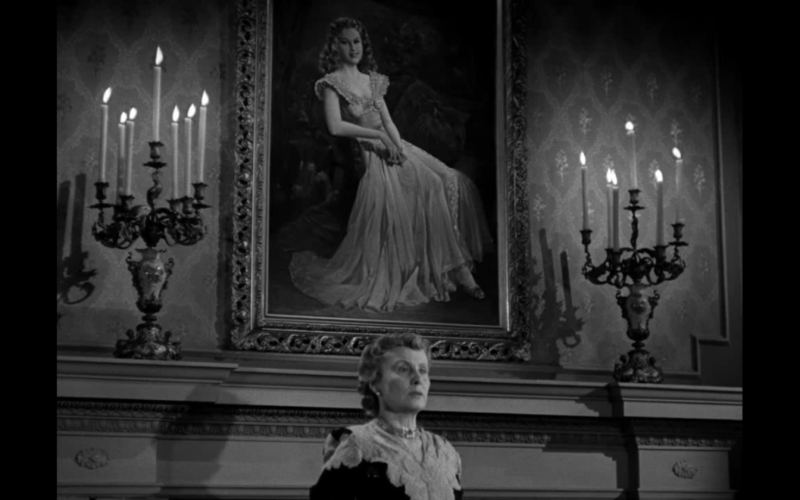 The last fifteen minutes practically transform into a Hitchcock film—due in no small part to the story input of Philip MacDonald, screenwriter for his Gothic thriller Rebecca (1940). 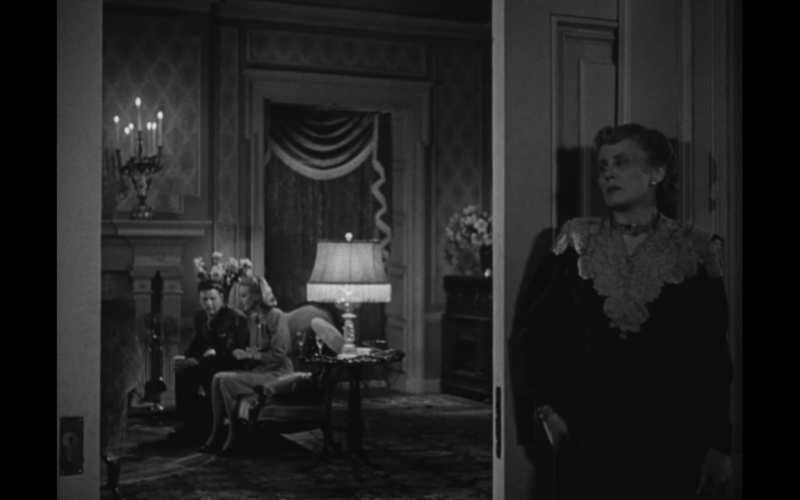 But whereas Hitchcock would have utilized these last fifteen minutes for suspense, Mann goes for emotional tragedy. 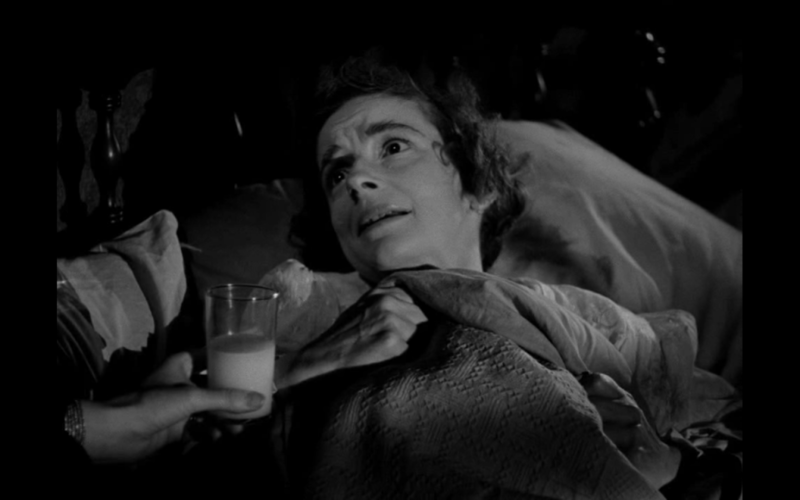 This is why Mann jumped comfortably into the noir genre while Hitchcock didn’t: he was interested in his characters’ psychological interiors while Hitchcock saw his characters as puppets for manipulating the audience’s emotions. Strangers in the Night is currently available on DVD from Olive Films.